Magnetic Frame- 2 Styles at discount, wholesale, sale priced, cheap. 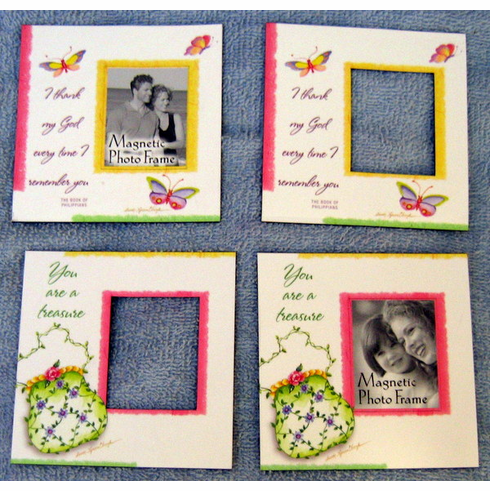 Size: 3 & 1/2" X 3 & 1/2"
Photo Size: 1 & 1/2" X 1 & 7/8"
That perfect little gift!! Put your favorite Photo in opening of the Magnetic Frame..
Get your Magnetic Frame: - 2 Styles at discount, wholesale, sale priced, inexpensive and even cheap.